One of the things I like to do the most when travelling is taking road trips. Road trips allow you to see things that you wouldn’t get to see if you stayed in a major city hub. You can travel at your own pace, stop whenever you want, and spend more or less time at a location. This is one of the major reasons we often try to see things independently without a tour group. When we visited Arizona and Utah we were treated to some really nice scenery. Here are a few of the photos I was able to capture while on our road trip. I was surprised at the beauty of the landscapes in Arizona about a couple hours beyond the Grand Canyon. 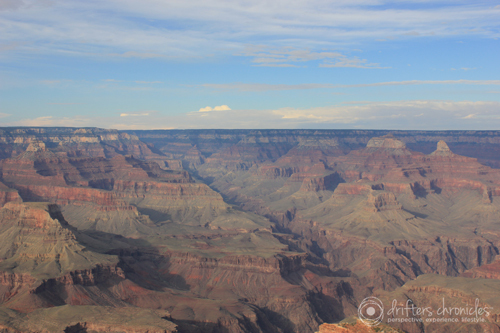 The Grand Canyon is one of the most spectacular places that I’ve been to. We drove out from Vegas and it took a little over 4 hours to get there. If you are into wildlife, landscapes and natural wonders you must visit this place at least once in your lifetime. 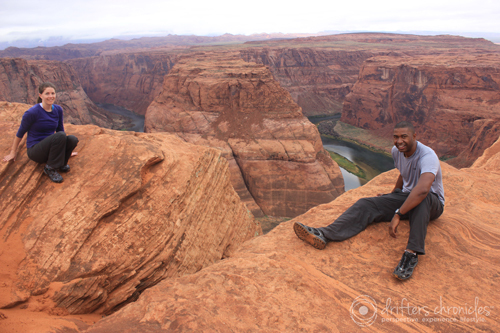 As part of the Colorado River tour we went around Horseshoe bend in our raft. However, you really appreciate the beauty (and the depth) of this attraction when you visit it from the top of the canyon. 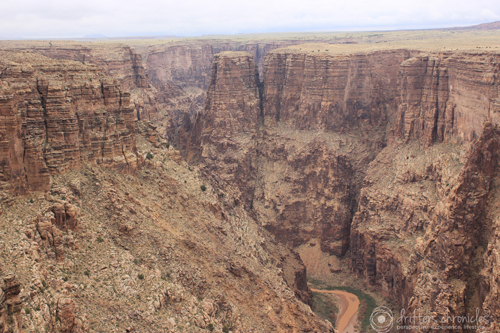 It is a horseshoe shaped meander in the Colorado River. This section of the river is near the town of Page, Arizona. It is about a fifteen minute drive from town. It is a short hike over a hill and across the red rock and sand. As there is no shade it is good to visit early in the morning or later in the afternoon when the sun is not so hot. We made time for this stop before our Colorado river rafting tour. 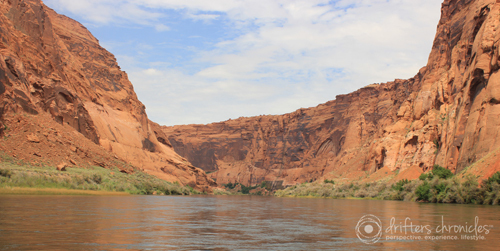 One of the main reasons we came through Page, Arizona was to raft down the Colorado river. We booked our trip with Raft the Canyon. We had a great trip, our raft tour guide Rex was awesome. He was very knowledgeable, laid back and fun!